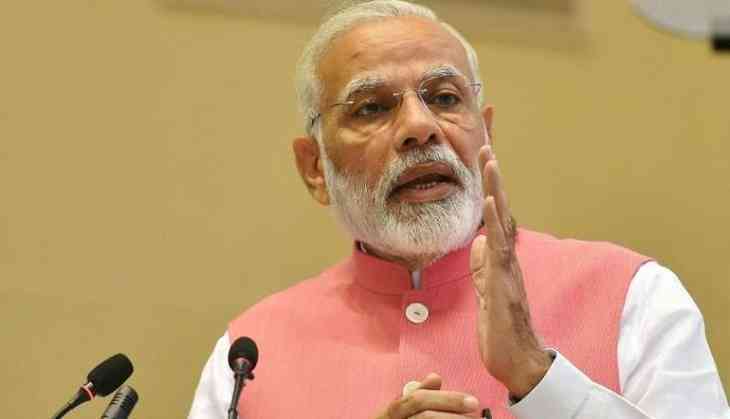 Prime Minister Narendra Modi Friday unveiled a mobility road map that seeks investments in manufacturing electric vehicles and increased use of public transport for travel, saying congestion-free mobility is critical to check economic and environmental costs of congestion. The Indian economy, he said, is the world's fastest growing major economy that is building 100 smart cities and constructing roads, airports, rail lines and ports at a greater pace. Speaking at the Global Mobility Summit 'MOVE', he said clean mobility powered by clean energy is the most powerful weapon to fight climate change. "This means a pollution-free clean drive, leading to clean air and better living standards for our people. We should champion the idea of 'clean kilometres'. "My vision for the future of mobility in India is based on 7 Cs: common, connected, convenient, congestion-free, charged, clean, cutting-edge," he said. The focus must be to go beyond cars to other vehicles such as scooters and rickshaws, Modi said. "Common public transport must be the cornerstone of our mobility initiatives." The Prime Minister called for leveraging the full potential for vehicle pooling to improve private vehicle utilisation. "Congestion-free mobility is critical to check the economic and environmental costs of congestion," he said. "We need to ensure that public transport is preferred to private modes of travel," he said. "The Internet-enabled Connected Sharing Economy is emerging as the fulcrum of mobility." Mobility, he said, is a key driver of the economy. "Better mobility reduces the burden of travel and transportation, and can boost economic growth. It is already a major employer and can create the next generation of jobs."